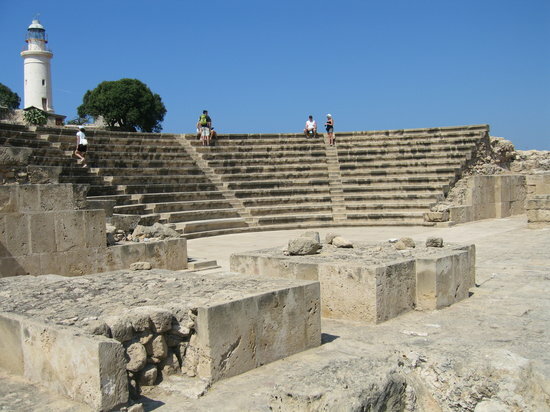 Kato Paphos Archaeological Park is an outdoor area with many interesting sights to visit. The entrance is 3.60 Euros and you get to see the Odeon, the house of Dionysus, the villa of Theseus, the lighthouse of Paphos and more. The entrance (shown below) is near the Kato Paphos harbour at the corner of the parking area. If you can not spot it you may ask some of the locals or other tourists for directions.